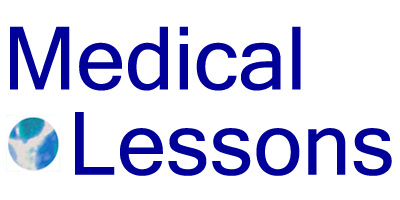 Medical Lessons – Get Cancer. Lose Your Job? Thanks so much for your perspectives on this study. The main takeaway seems to be the importance of choosing a treatment that is appropriate based on tumor biology and risk of recurrence but that is also the least aggressive/least toxic to minimize long term adverse effects. This seems to underline how important it is for patients to be fully informed about the benefits and risks of treatment options so they can make decisions with their doctors that balance these different considerations. Thanks again for this very helpful post. Thanks so much for this, Dr. S. When you advise: “patients should ask their physicians, based on their circumstances, for the least therapy that makes sense based on the size and molecular details of their tumor, to avoid long-term toxicity” – it makes me wonder why on God’s green earth it is up to the patient to request this as opposed to the physicians who are deciding on their treatments? The statement somehow implies that this is not already happening, or that physicians are providing therapies that are more toxic than they need to be. This issue is critically important whether you are in the workforce or not, isn’t it? You’re perfectly right, that ideally doctors would be thinking in these terms. But not all do. Also, for some conditions there’s a range of doses and regimens, i.e. treatment intensity and modes of treatment (e.g. +/- radiation, if and how much chemo…). Some patients may worry more about neuropathy, or hair loss…My point, which I think we share, is that patients need be their own advocates in these decisions, to make sure the doctors take their preferences into account.